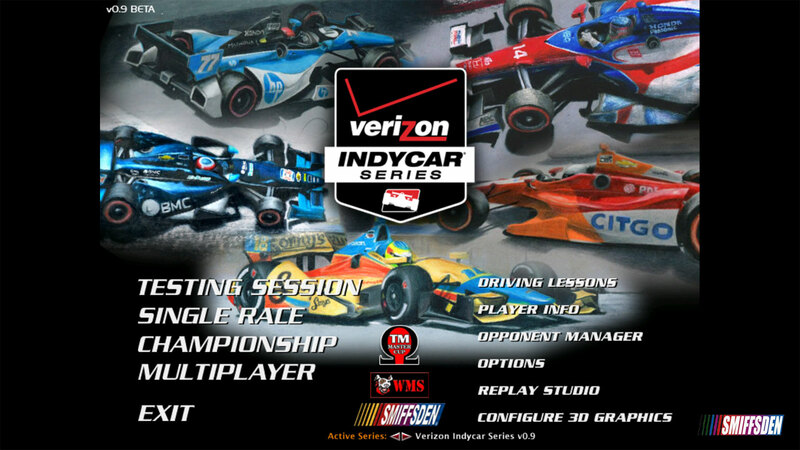 After over a years work and thousands of man hours, we are proud to present the Verizon Indycar Series (Beta 0.9) for the NASCAR Racing 2003 Season Game. 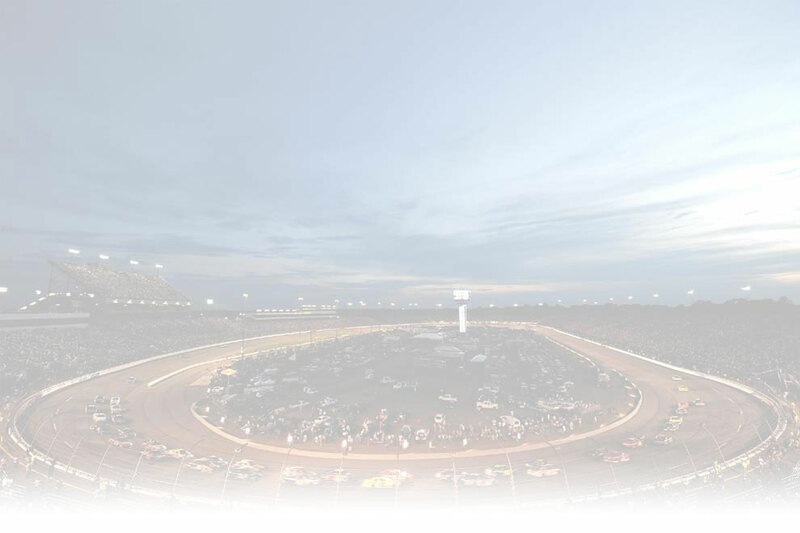 The Verizon IndyCar Series is the premier level of American open wheel racing. The current championship, introduced by Indianapolis Motor Speedway owner Tony George, began in 1996 as a competitor to CART known as the Indy Racing League (IRL). Citing CART's increasing reliance on expensive machinery and overseas drivers, George aimed to create a lower-cost alternative. In 2008, the Verizon IndyCar Series merged with the Champ Car World Series (formerly CART). 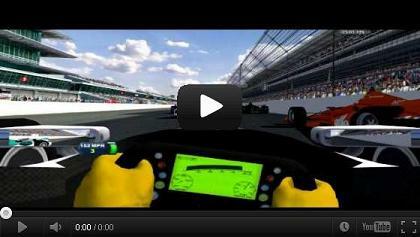 The series is sanctioned by IndyCar. Starting in 2012 the series moved to using a common chassis supplied by Dallara. Using a single supplier to supply chassis was introduced as a cost control method, and IndyCar has negotiated a fixed cost of $349,000 per chassis. The new specification of chassis also improved safety, the most obvious feature being the partial enclosure around the rear wheels. After the events of the 2011 IZOD IndyCar World Championships the chassis was named DW12 in honor of Dan Wheldon. This mod should still be considered as being beta as there are some incomplete parts to it, our biggest hurdle in getting the DW12 into the game was the cars shape, a commercial model of the DW12 was acquired by Dave Reuille for this mod, but unfortunately we could not reduce the poly count to even get the model to open in game, let alone race with 42 other cars. Ian Smythe started the model again from scratch using the commercial model as a template to produce the final product, we have had to use artistic license on some parts and compromised on others, in general the model still bears a striking resemblance to the DW12, even after the compromises. 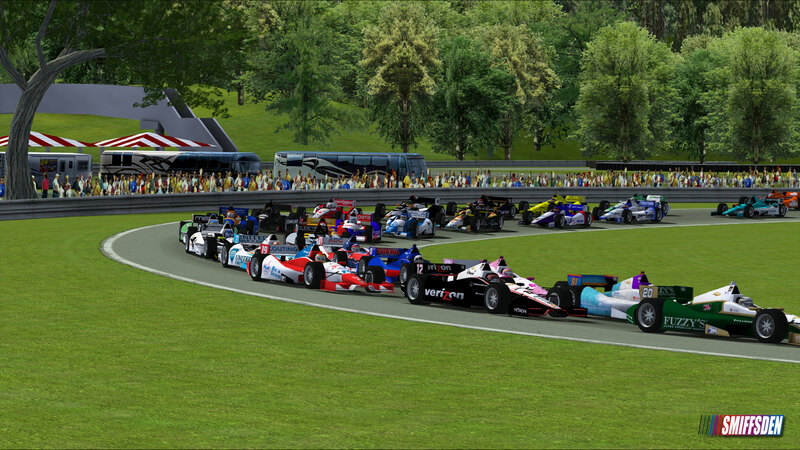 Ian Cooper (Cynon), Dave Reuille and Cliff Raymond have gone far above and beyond duty in reproducing the 2014 Verizon Indycar Series paints for this mod, in total, there are a 132 car files which include 39 real world cars and 27 personal, fantasy or classic schemes in both Road and Oval configuration. The 39 Verizon Indycar Series paints are fully rated to their 2013-2014 results in each discipline (where applicable Road have been carried over to Oval), the remainders are not rated. The mod is supplied with 2048x2048 car paints and 512x512 compressed crews, a higher resolution pack is available separately. There is only a part of the car drawn in the cockpit or virtual mirror, it is recommended to turn this off presently. 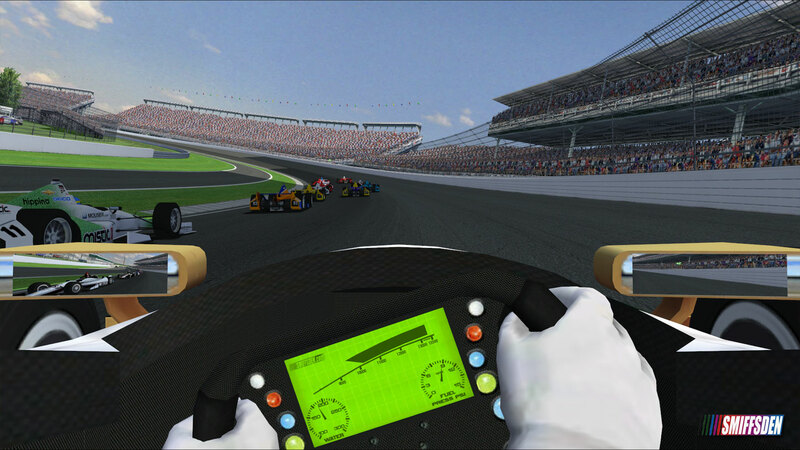 If viewing the roof cam camera on a AI or during an on-line race, the top of the driver helmet suffers from a slow draw-in, there is an alternative CAM file included which fixes this, simply rename make_a_pta_ONLINE.cam to make_a_pta.cam to use the fixed view, rename it back to revert to the old camera angle, we do not recommend using the alternative cam file for off-line racing of the PLAYER car model. The cars may sometimes appear to float slightly above the racing surface, this seems to be an optical illusion caused by the shadow box which we will work on to fix in future updates. The Carviewer models do not have wheels or suspension in them, they are designed purely to assist with painting. Very late in the day (like earlier today) we noticed the driver did not have any legs, realising this may hamper the AI drivers somewhat at reaching the pedals, Ian added some in, they are mapped to the drivers left arm on the template. Matt O'Reilly & Alan Harkleroad for their assistance in troubleshooting the shadow fix. PTA Physics, all car files included, recommended to add patches below too. 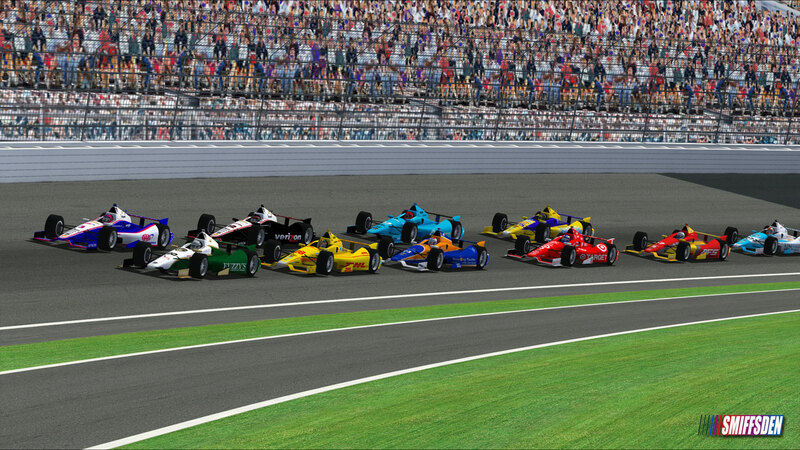 Fixes tearing and broken shadows cast from the cars, only some specific chipsets suffer this problem but the update is recommended for all to install as it also adds correct shading for Superspeedway cars, extract the file to the DW12 directory. Fixes the wondering guages on external cams, temporary fix which may result in the guages being cut off at the bottom of the screen on some resolutions. Basic mod files with Cup physics - NO CARFILES are included, you will have to convert them yourself - this archive includes the shadows and guages fix.